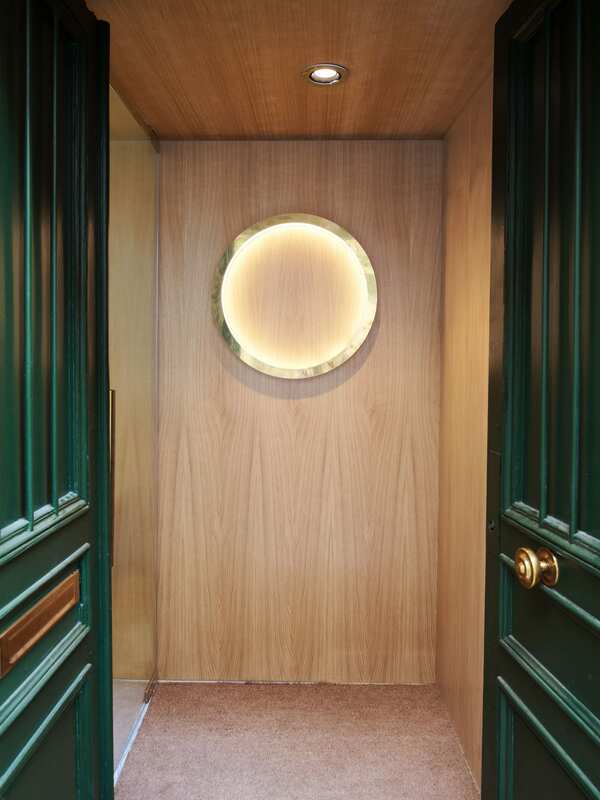 The ground floor houses the entrance, and counselling and treatment rooms, both of which are finished in white plaster to set an elegant, refined tone. 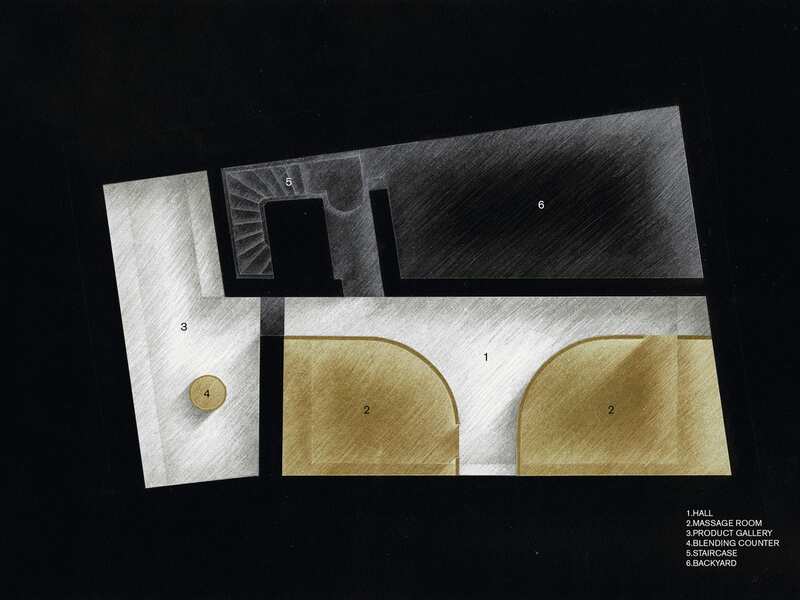 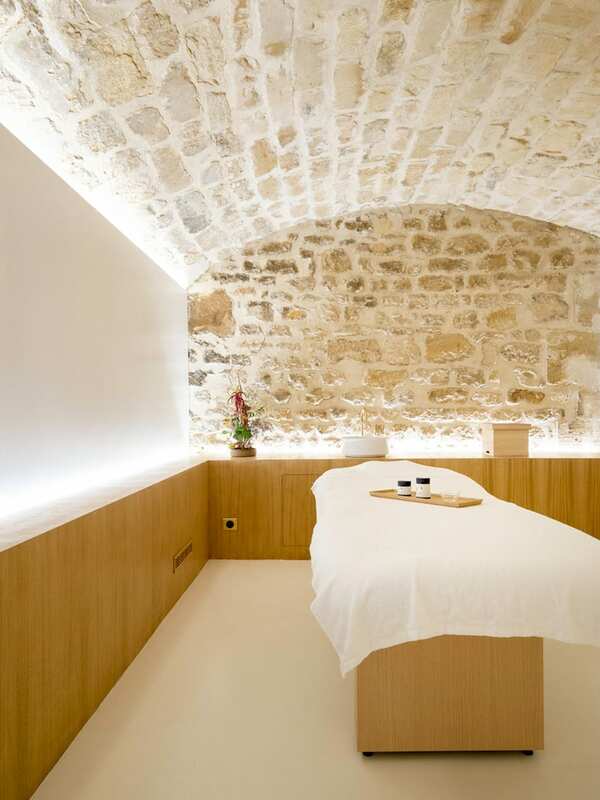 The basement is where the massage partitions, blending counter, and product gallery are located. 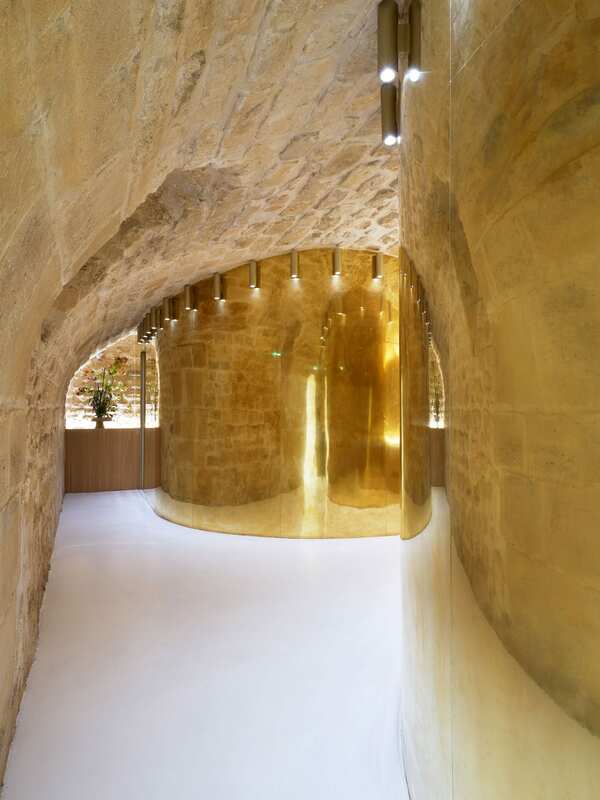 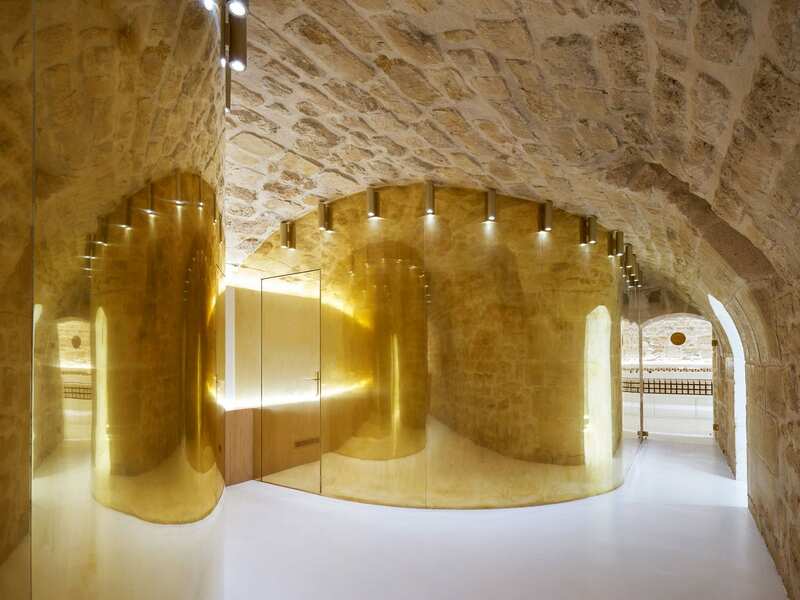 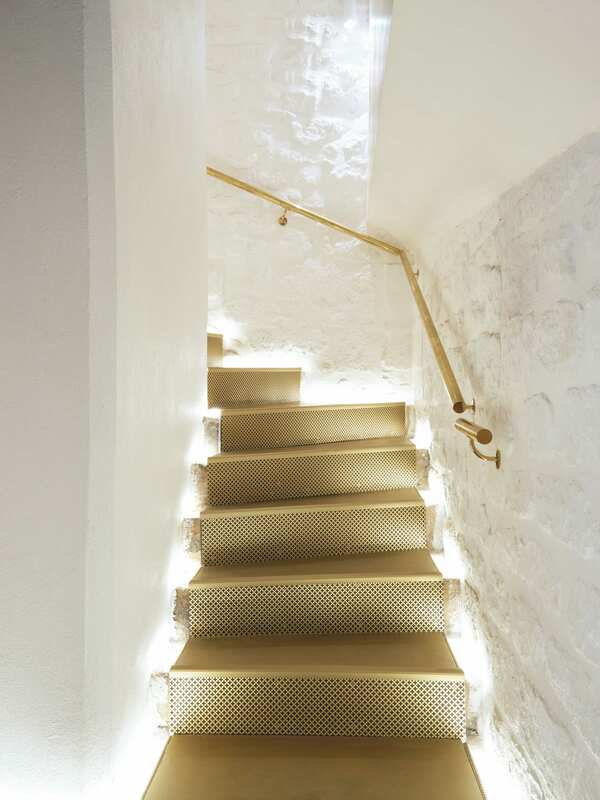 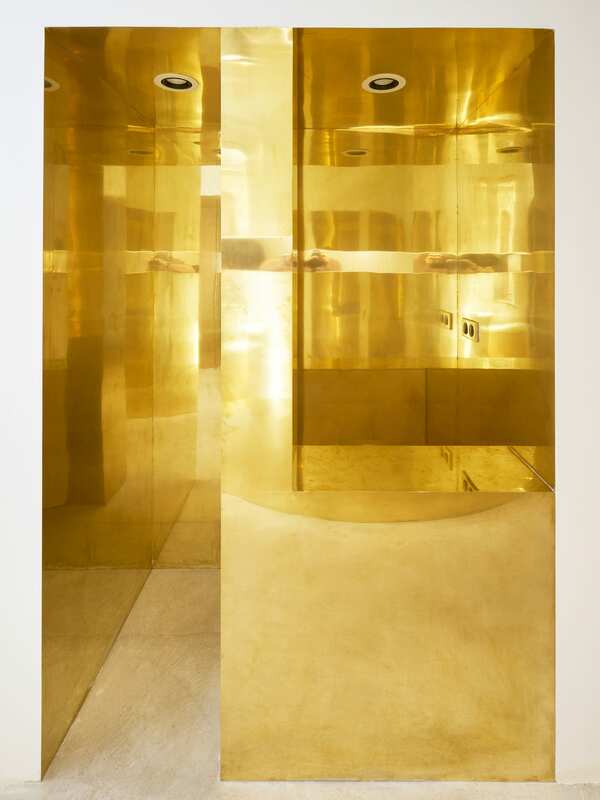 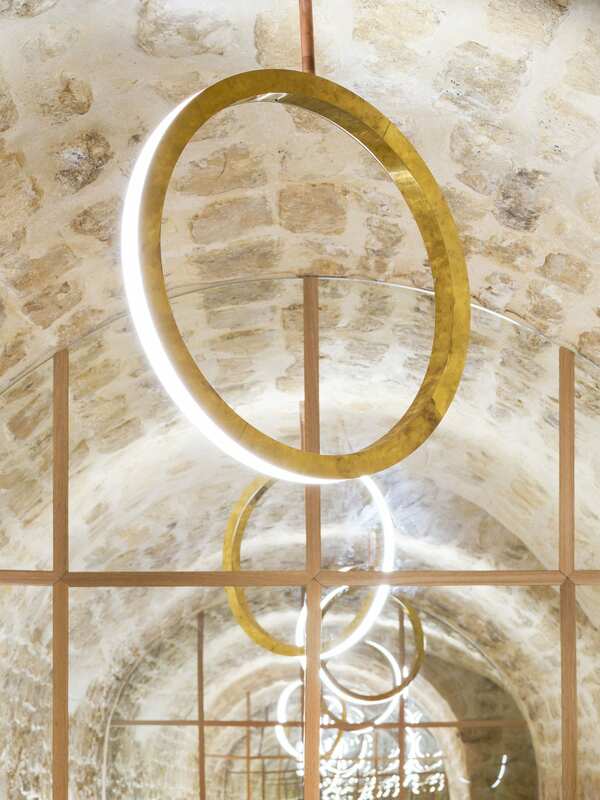 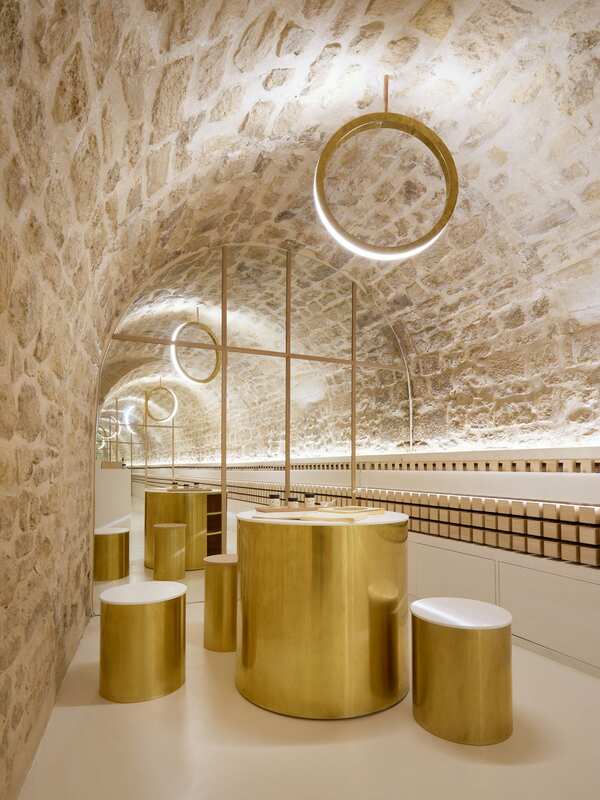 Original vaulted ceilings and textured stone walls juxtapose all things shiny and new; the abundance of brass, fresh white surfaces, and circular gold-framed LED lights reminiscent of an illuminated vanity mirror. 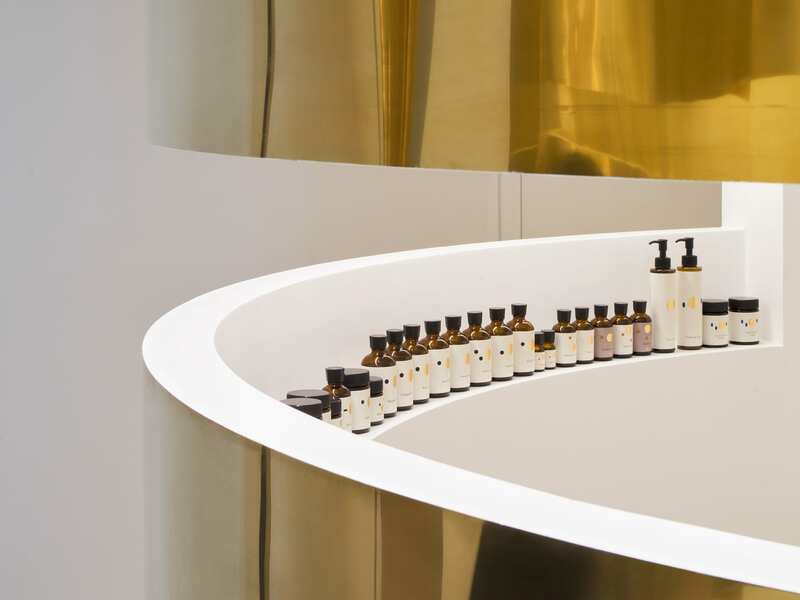 As en’s first retail location, the boutique serves to show off the products in an exhibition fashion. 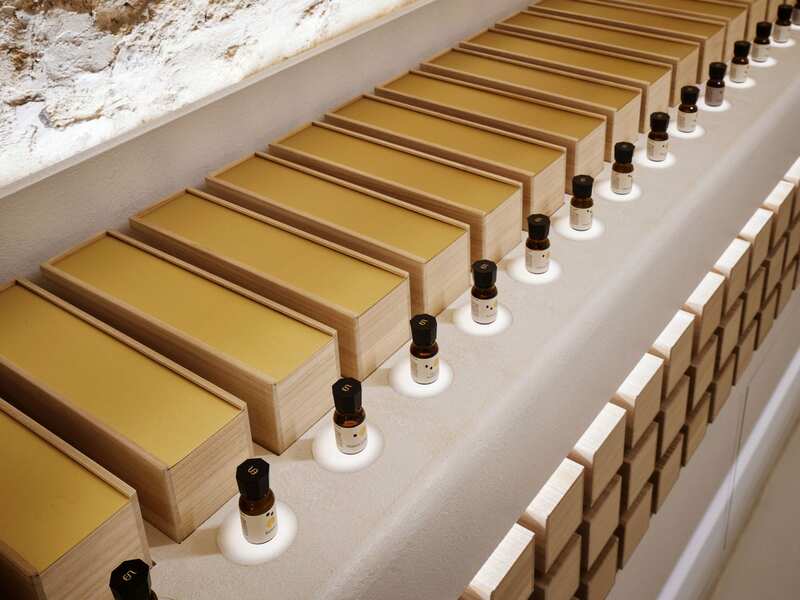 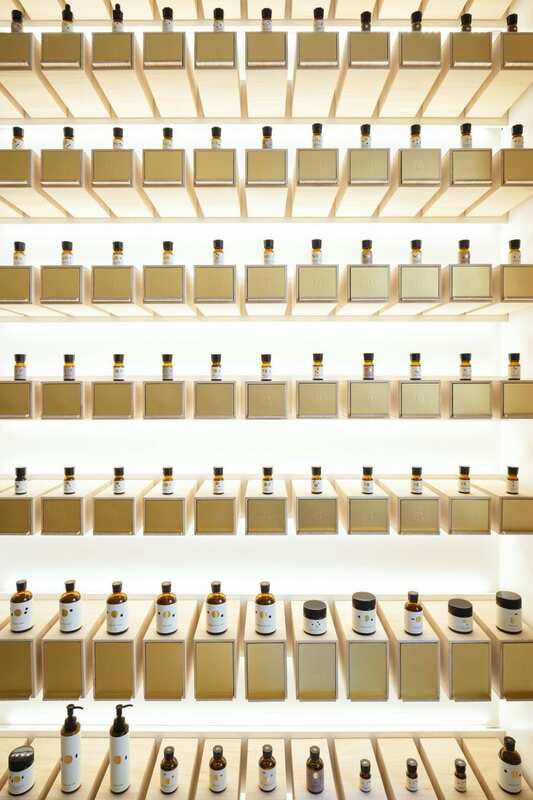 The display room is reminiscent of a winery, with each individual bottle of product housed in a box made from Japanese paulownia timber, stacked on shelves with special backlighting. 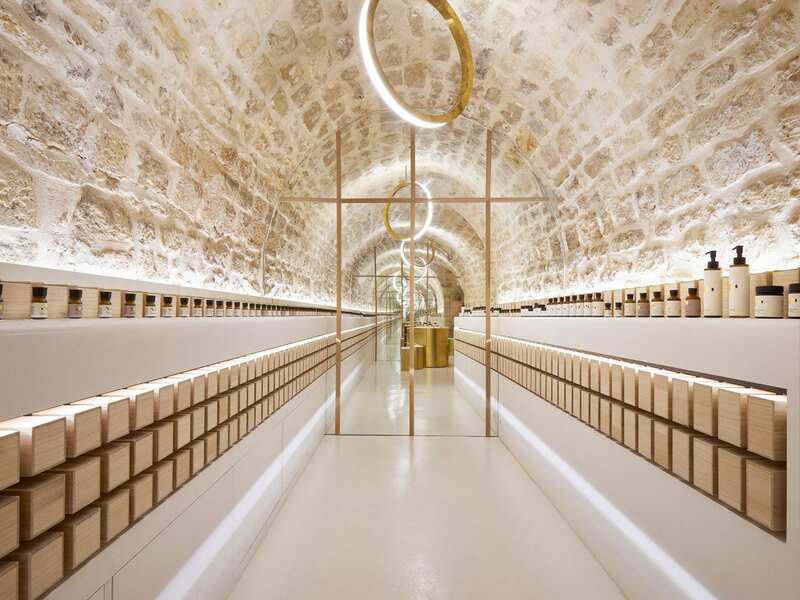 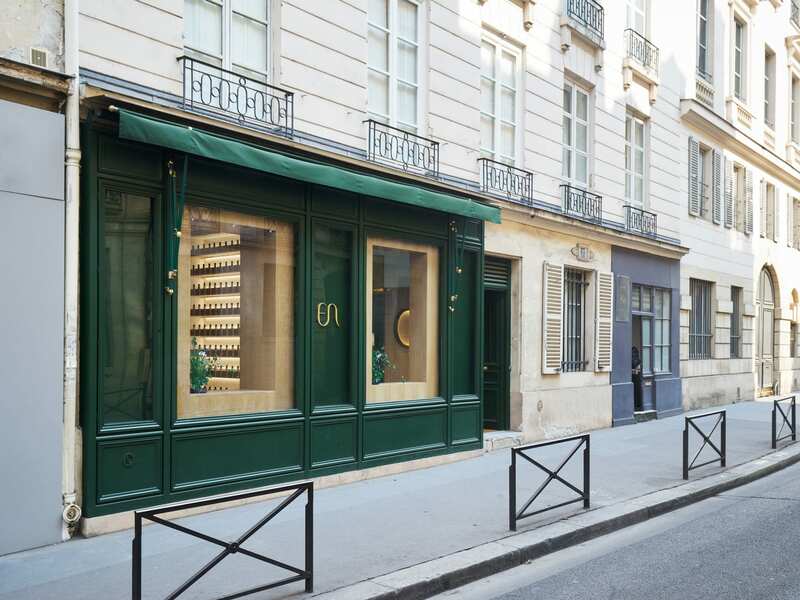 Safe to say this is not your typical retail or cosmetics store. 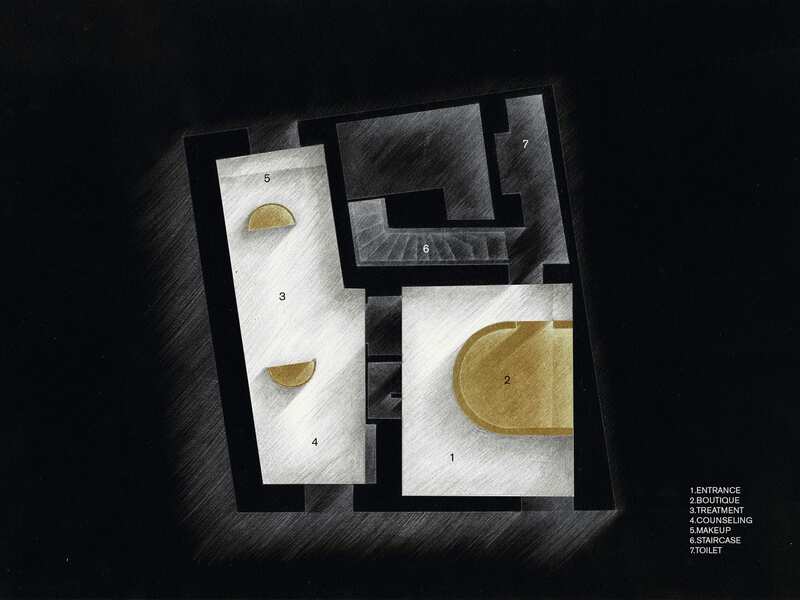 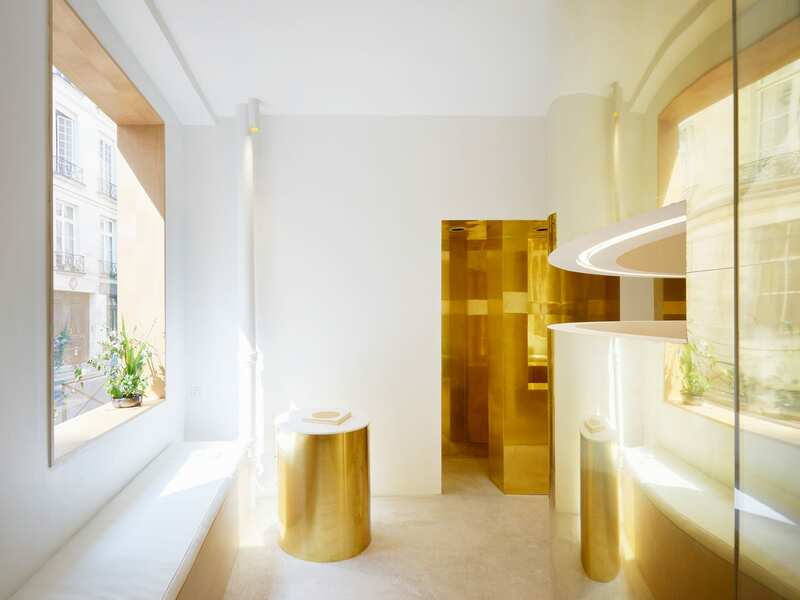 ARCHIEE created an encapsulating space that we can totally imagine wanting to hang around in, mixing up a custom face oil or settling in for a massage. 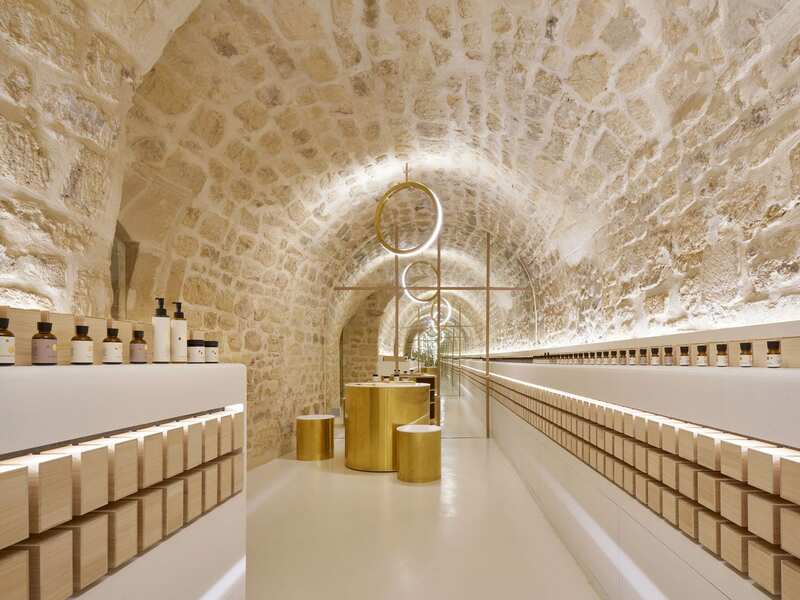 If you’re reading this, en cosmetics, feel free to open up a Sydney store!